Classic macaroni salad is easy and budget friendly side dish, you can make the night before your picnic or backyard BBQ. Macaroni salad is popular side dish for anytime of the year. Some people want to go to the grocery store deli and buy macaroni salad for there party. 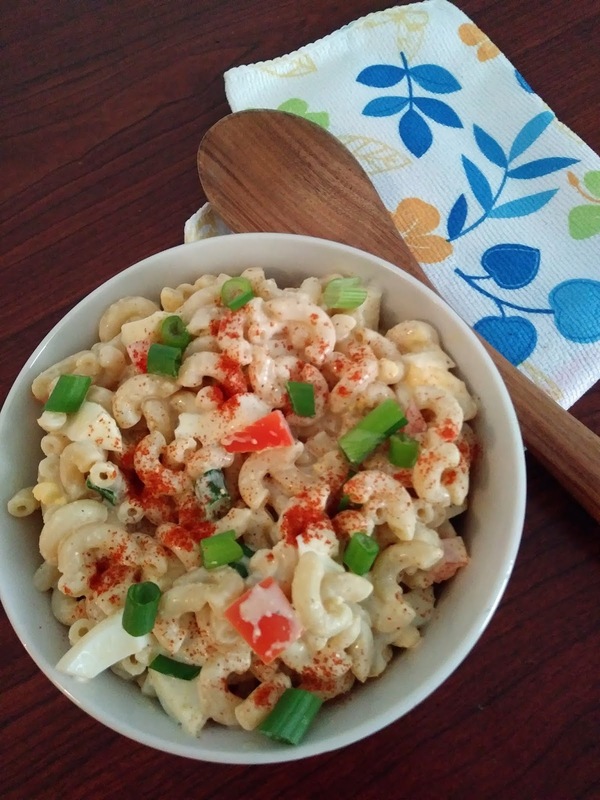 Don't waste your time going to the grocery store, macaroni salad so easy to make, and it will taste a lot better than store bought. This recipe is too easy. By the time your pasta has finish cooking, you'll have everything prepared and ready. Just drain pasta, rinse under cold water to cool and toss with the ingredients. Cover tightly and place in refrigerator for the party the next day. Macaroni is served kinda like potato salad, cold and perfect for picnics and backyard BBQ. Look at the ingredients cheap and filling pasta. A meal stretcher. If you have more people to feed, you can easily double the ingredients. Classic macaroni salad is easy and budget friendly side dish. Cook pasta according to package directions. Drain and run cold water over pasta. While the pasta is cooking, mix all ingredients, except paprika. Add pasta to the mixture, combine well. Cover and place in refrigerator. Stir before serving and garnish with paprika. Yummy!! A Favorite All American side dish! Easy and a yummy salad for this season too. Thanks, Nancy. Glad you enjoyed.